A woman who on in the house on her own was tricked by a man who said he was fixing a neighbour’s fence. One of the men knocked on the door of the house in Morning Star Road, Daventry, and asked the woman who was alone in the property if he could go into her garden to look at the fence. She let him in but did not lock the front door behind her. 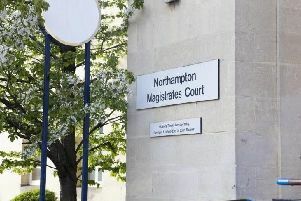 A spokesman for Northamptonshire Police said: “A short while later, the second man appeared in the house and told his accomplice it was time to leave. “The home owners later realised the upstairs of the building had been searched, with the thieves looking for jewellery. The men were both white, chubby, spoke with English accents and were between 30 and 35. The first was between 5ft 8in and 5ft 10in, had short blond hair and was wearing a black fleece and a yellow jacket with a yellow National Geographic logo on the front. The second man was between 5ft 10in and 6ft and wore a dark coloured jacket. The incident happened on Tuesday (March 3) at about 4pm.